On Sunday mornings we meet together at 9:30am and 11.30am at The Hub, Ayton Road, Wymondham, to worship, experience the presence of God and receive biblical teaching. The church teaching on a Sunday is mostly given by the Elders and Deacons of Hope Community Church, but we do also have guest speakers visit us through the year. The teaching program is usually following a couple of teaching series all biblically based and then followed up with discussions in the life groups. The worship band that leads us to a place of praise and adoration for God each week is a mixture of older and younger members of our church. Sundays are never dull for the kids and youth who attend Hope Community Church. This is because every week they are part of Über – the group which meets especially for them. I bet you are wondering why on earth the group is called Über! Well – it is quite simple really. 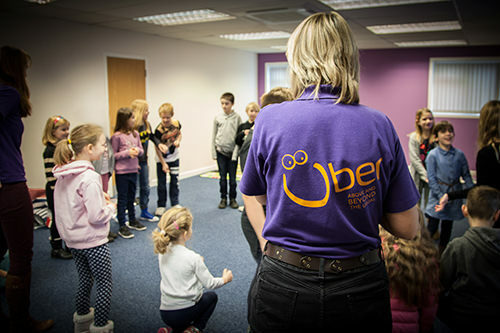 One of the definitions of Über is “above and beyond the usual” and that nicely sums up how we want all our kids to be – above and beyond the usual in their walk with God! At Hope Community Church, we want to help them to be good disciples of Jesus, walking with Him, following Him and seeing Him do amazing things as He builds His kingdom in them and through them. We believe that helping them to worship, listen to God, pray, have a good understanding of the Bible and discovering their gifts will help them to become Über for God! Our times together are fast moving and crazy because we believe that kids learn best when they are having fun! 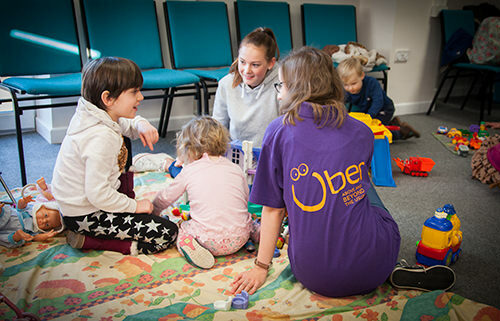 The group splits up into two groups: Baby Über is for those that are 3 and under (normally parents stay in here) and Mini Über is for those that aren't quite in full time school. Mini Über is available for both meetings. We believe that it is important for all the children and young people to be part of the whole church family, so we all meet together for the first twenty minutes of the main church service and then it is off to Über! Über is available for both meetings. A changing program of teaching, discussion and integration into the main church meetings. Uber Plus is part of the youth discipleship program moving youth towards integration into the main family of the church and giving opportunities to get involved in different areas of church life. Über Plus is available for the 11.30am meeting. Start Sunday morning with some fantastic times of prayer in one of the meeting rooms before the main Sunday meeting at The Hub. A time not to be missed. We have a committed prayer team that are available to pray with you during our Sunday service. Between the two meetings, you are welcome to enjoy some refreshments with us. We offer a variety of teas, coffee and soft drinks. It's a chance to catch up with other people and make new friends. If you are new to our church, after the service please make your way to the Welcome area just inside the hall entrance doors. Our Welcome Team will be pleased to answer any questions you may have and give you more information about us and coming events.